JH: I have a fun treat today. Picture book author Nancy Raines Day joins us to talk about writing for very young readers. So if you ever had an inkling to write that picture book, but didn't know how, this post is for you. Nancy and husband live on an island. She thinks up ideas while walking the beach and swimming in the ocean. She always loved the water and thought she’d make a very good mermaid. Nancy's books include On a Windy Night, Flamingo's First Christmas, Double Those Wheels, Piercing Earth & Sky Together, A Kitten's Year, and The Lion's Whiskers. I imagine picture book writing is quite different from longer works. What’s your process like? Yes, I have the visuals in mind from the beginning. Because picture books are usually 32 pages, I figure on 14-15 spreads. Often, I write even the first draft in that many illustratable chunks. It helps me figure out the story arc and pacing. What are some things that first-time picture book writers should keep in mind? The theme should be a big one, something universal that many kids--humans of all ages, really--can relate to. Picture books are costly to produce, so the more value you can pack into yours, the more likely a publisher will want to do it. A great main character goes a long way; added educational value helps, too. 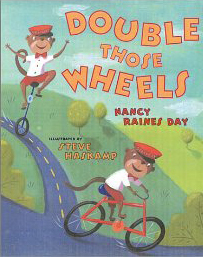 For instance, my picture book, Double Those Wheels, is a rhyming, math-concept vehicle book about a jaunty pizza-delivery monkey. How is the submission process different? Marketing research would be similar, but you don't have to write a synopsis--it's easy enough to send the whole manuscript. In today's market, the shorter the better! How do you work with the illustrations? Do you have ideas for images as you write, or do you write so an illustrator can be inspired and come up with the pictures? I always envision what an illustrator might show on each spread. But I found out with my first book that the pictures you see in your head are probably quite different from what the illustrator will come up with. I try to leave plenty of room for the artist's interpretation, but I do put in brief art notes where the words do not indicate what the picture needs to show. The last page of my new Halloween book, On a Windy Night, is a good example. 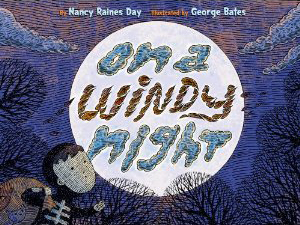 What is your favorite aspect of writing picture books? I've always been a very visual thinker and appreciator of art without the skill to get what I see on paper. 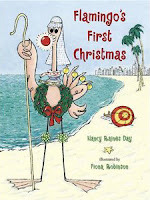 I loved the illustrated books that were read to me as a child, and I still do! What are some of the misconceptions people usually have about picture books and their authors? One second grade boy raised his hand during Q&A time on a school visit to tell me he thought all authors were dead. Happily, I cleared up that misconception! The most common is people thinking they have a great idea for a picture book and if they ever had a little time, they could just sit down and write it. 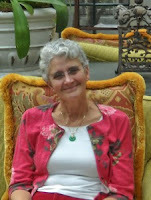 Many don't realize how hard it is to write a good picture book and get it published. Picture books have so few words that each one has to be the best one possible. Every sentence should further the story. What are some common mistakes new writers make when writing a picture book? Telling characters' emotions (she was sad) instead of showing it through what they say and do. Slipping in and out of the main character's viewpoint. Forgetting to let the young main character solve the story problem. Edit note: I found this particularly interesting, as it's the same common mistakes writers of all genres and markets make. 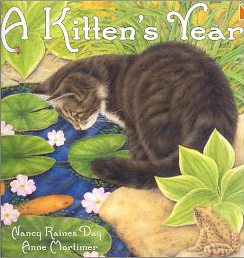 What are some of the titles that every aspiring picture book writer should read? The Cat in the Hat was my favorite to read, both as a child and as a parent. Eloise is a brilliant example of a memorable main character and voice. For those who aspire to write in rhyme, I suggest reading picture books by Mary Ann Hoberman, Julia Donaldson, and Linda Ashman. This is great, Janice. You keep hitting on posts that I totally need. I've had an idea for a children's book brewing in my mind for some time and have recently become good friends with a fantastic artist who's illustrations I feel would be perfect for my vision. As a Kindergarten and first grade teacher, I am a huge lover of young children's literature and own a ridiculous amount of books (thank you Scholastic book orders!). My children are so spoiled in great children's literature. This gives me some good pointers on the process of putting my idea into action. Thank you. Thanks Robyn! And thanks to Nancy for stopping by.